Thiou is referred to as the shortest rivers of France. 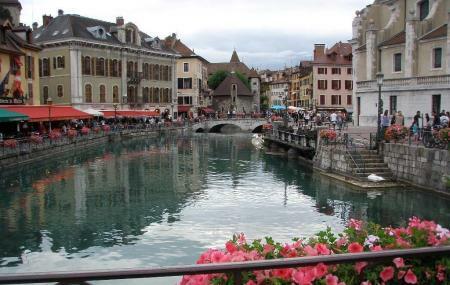 The history of the river states its importance to the industries of Annecy. Today the river stands as a tourist attraction with several restaurants and bars surrounding it. On visiting the river you walk by the old town which enhances your experience in the city. This spot in Annecy is apt for romantic strolls and photography. Thiou is a river and is open to all throughout the year. People normally club together La Vieille Ville and Palais Disle while planning their visit to Thiou.